To all my friends who proudly proclaim they are Democrats, I’m sorry. That’s not me. To the many friends and family who embrace the Republican party’s philosophy, another apology. I don’t fit. Now, there was a time when I was a card-carrying Republican. I was part of the Torrance High School students for the re-election of Richard Nixon. We won big that year. As with many political leanings, mine were born out of my environment. I would say it’s safe to say that I come from a conservative family. Republicans were conservative, so as far as I know, my parents voted that way. We never really talked politics, they didn’t put bumper stickers on their cars, they just were conservatives. Now, a quick reminder that at one time, being a conservative was a tendency, not a religion. The Far Right back in the 60s was a very small minority. If you don’t believe me, check out the 1964 election when Barry Goldwater was trounced. However, a few years later, the country had enough of the Vietnam War and made a turn to the right. Over the past decades, we’ve swung back and forth. Nixon to Carter, Carter to Reagan, Reagan to Bush, Bush to Clinton, Clinton to Bush, Bush to Obama. Wow, that sounds like a really long double play. Maybe it comes with being around long enough, but after a while, you tend to develop your own brand of politics. Then, there you are, with a collection of thoughts and philosophies that don’t match either of the two political parties. And then you have to pick the lesser of the two evils. Right now, Republicans are doing everything in their power to become a laughing stock. They’re afraid to stand up to the so called “Tea Party” branch of the right. So, the extremists have the keys to the car and are leading the government shutdown, throwing people out of work as they try to derail Obamacare. I don’t know if Obamacare will be a good thing or a bad thing. I have my feelings, but here’s the deal. We had a chance to vote-in someone who was opposed to it, and last thing I remember, the country decided to stick with it. Now, the Tea Party thinking is that it’ll ruin the country. I really don’t think shutting down the government is much better. In fact, it’s probably worse. And this news flash just in—if Obamacare doesn’t work, we’ll get rid of it. As of today, you haven’t even given it a chance. Don’t be crybabies that take their ball and go home when they don’t get their way. You know, the debate over Obamacare reminds me of a few decades ago when ending segregation was going to ruin this country. I’m pretty sure they said that about slavery. I’m also old enough to remember when John Kennedy was running for president that if we elect a Roman Catholic, he’ll probably have us all praying to Mary. 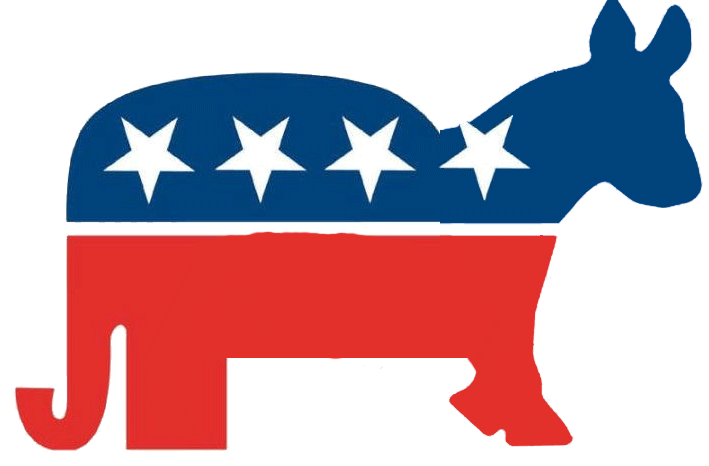 Ask me if I’m a Republican or a Democrat, you won’t get the answer you want, so don’t ask. I vote for the person, not the D or the R next to their name. I’m hoping, in my lifetime, that we get a viable third party option to shake things up. Question me on politics and I’ll be glad to tell you what I think, but know going in that my opinion definitely does not follow a party line. And you know what? That’s O.K.